Tatyana is co-founder and CEO of ClaimCompass. Tatyana studied law at Freie Universität in Berlin. In 2015, during her internship at a legal firm, Tatyana realized a business opportunity in the travel space that only a handful of legal offices were exploiting. This concerned a EU Regulation that grants airline passengers the right to monetary compensation for delayed, cancelled or overbooked flights. 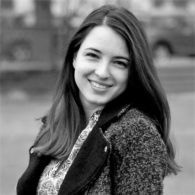 Tatyana contacted Velizar Shulev (co-founder & CTO), a former high school classmate who was studying computer science at the University of Glasgow in Scotland, to build a landing page for her idea. Tatyana then reached out to Alexander Sumin (co-founder and CMO), who was working as an analyst for the Canadian Federal Government and had, coincidentally, just experienced an excessive delay during his last trip. From these three remote locations – Scotland, Germany, and Canada- ClaimCompass was launched in the summer of 2015. ClaimCompass compensates airline passengers traveling from/to the EU on flights that are delayed, overbooked or canceled. In 2016, the three co-founders returned to Bulgaria to fully dedicate their efforts on ClaimCompass. During the same year, the company was accepted into the renowned 500 Startups accelerator and the co-founders spent 4 months in Silicon Valley, further improving their business model and strategy.